Lonely Planet Discover Paris 2019 (Travel Guide), 6th Edition is your passport to the most relevant, up-to-date advice on what to see and skip, and what hidden discoveries await you. Promenade down the Champs Elysees, lose yourself in the Louvre, and work your way through a feast of food and wine―all with your trusted travel companion. 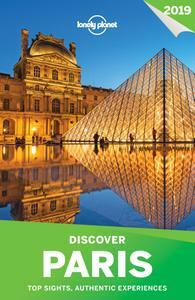 Discover the best of Paris and begin your journey now! The Perfect Choice: Lonely Planet’s Discover Paris 2019 is filled with inspiring and colorful photos, and focuses on Paris’s most popular attractions for those wanting to experience the best of the best.